Kalasfin skinnstövel som passar de flesta med äkta Gore-Tex membran som håller en eventuell regnskur på utsidan. Storlek: 36 - 50. Kalasfin skinnstövel som passar de flesta med äkta Gore-Tex membran som håller en eventuell regnskur på utsidan. Smalbensskydd, ingjutet tåskydd, ingjutet hälskydd, vridstyv vulkaniserad sula, ingjutna ankelskydd, reflex på hälen. 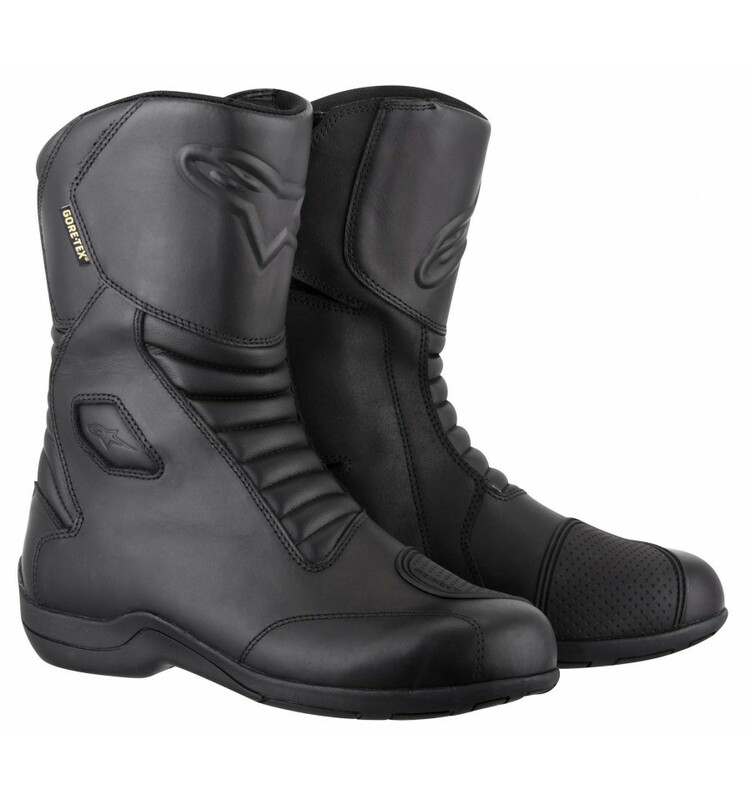 Constructed for comfort and convenience over long trips or everyday riding and incorporating a range of Alpinestars’ renowned protective features, the Web GORE-TEX® is robust and durable. A 100% waterproof GORE-TEX® lining offers superior weather protection while being breathable and the innovative side-entry system offers a secure and precise fit. • 100% waterproof GORE-TEX® membrane for guaranteed protection against elements and improved breathability. 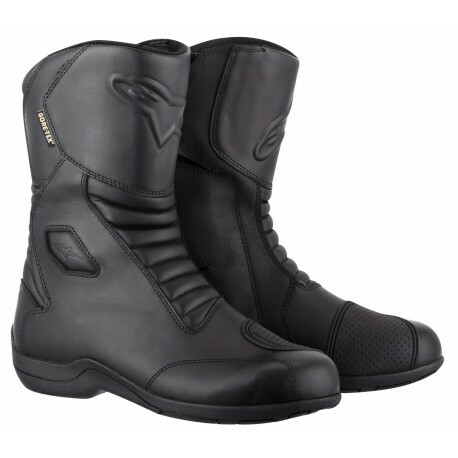 • Alpinestars’ exclusive rubber compound for the optimal combination of comfort and grip. • Contoured for optimized performance over long distances with a reinforced toe box construction for riding control. • Rear reflective insert for improved night time visibility. • Fully CE-certified boot is highly durable and performs excellently in all weather conditions and over all distances. • Double-density ankle shield mounted under and over medial leather surface. • Structured and reinforced shift pad protects upper foot. • Contoured, injected high modulus polyamide insole includes embedded shank reinforcement. • Robust toe box and external heel counter mold provides superior impact protection to hull of boot. • Front and back accordion flex zones for maximum maneuverability and riding comfort. • Innovative side-entry system with large Velcro closure and water-resistant gusset for secure and precise fit. • Textile collared inner lining is durable and comfortable.